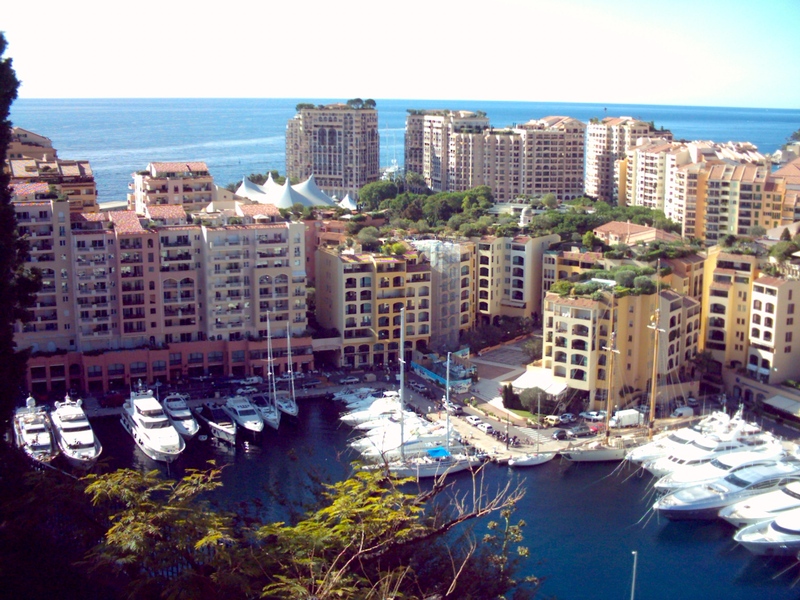 During a short trip in the northern Italian city Loano I visited the hotspot of the rich and famous people – Monaco. The glamorous city-state acts much more impressive locally than the media can transmit. The water quality in ports is -well known- not always the best. In Monaco, the clarity doesn´t need to fear any comparison with other European bays – you can see to the very bottom through the deep blue water! Experience the changing of the guards at the Palace – spectacular! Walk along the beautiful harbor – impressive! Visit the famous hairpin formula-1 corner – unimaginable! 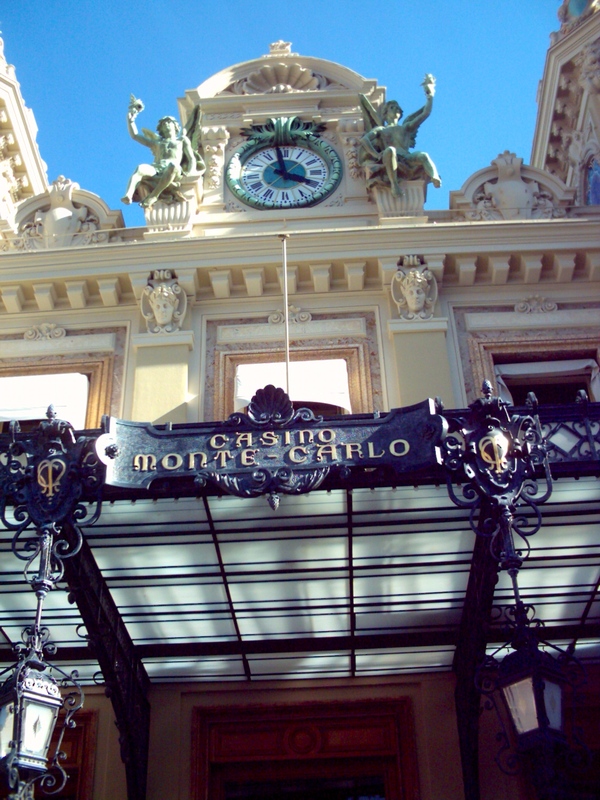 Gamble in the Casino de Monte Carlo – unforgettable! Let yourself getting impressed by the wealth of some people – without words! 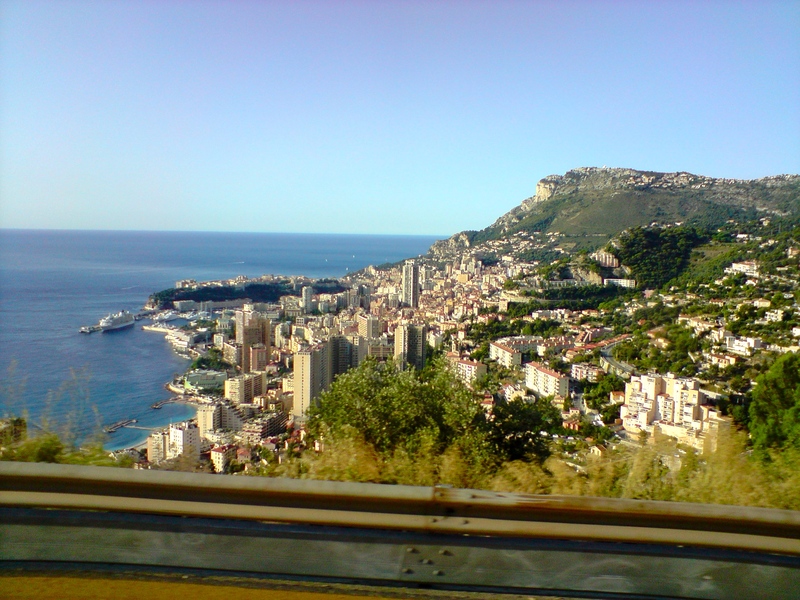 Through the south of france, the bus took me to Monaco. The view and the weather couldn´t have been better. 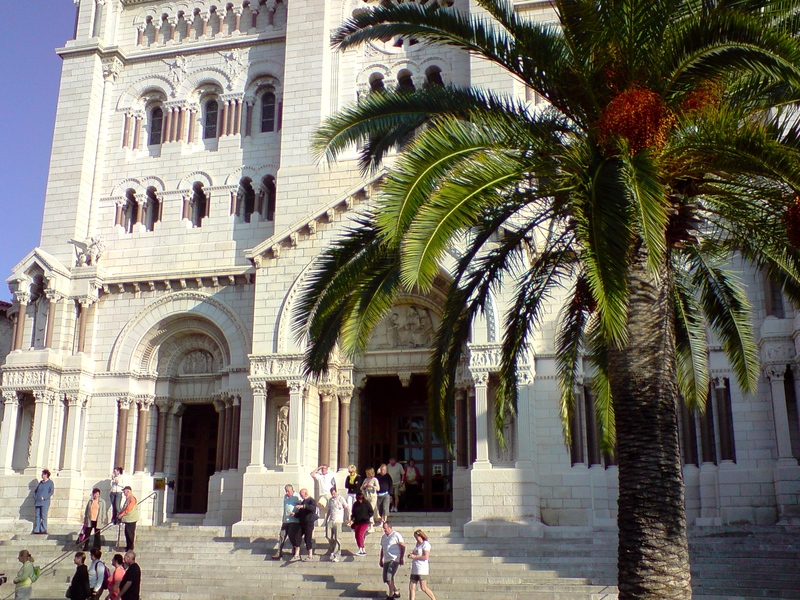 This cathedral is also used as a crypt of the Grimaldi family. 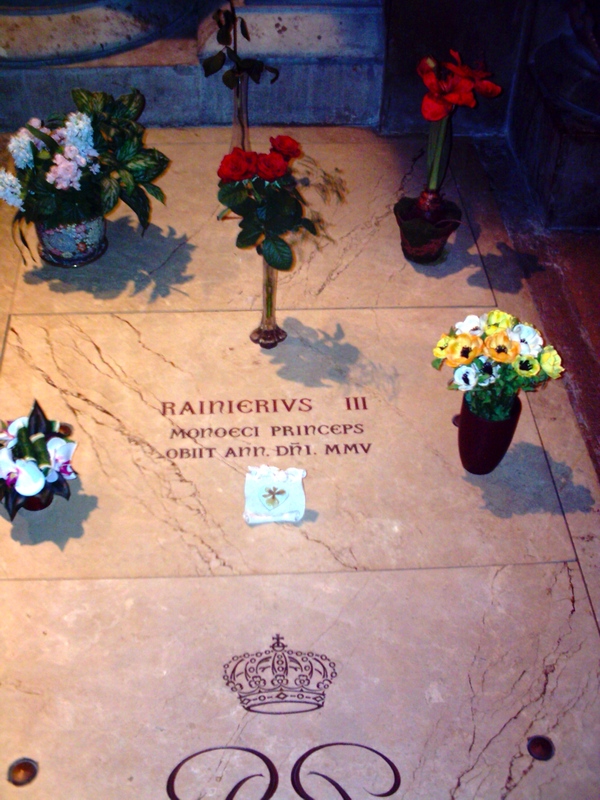 Next to the grave of Rainier III his wife Grace is buried. Every day at 11.55, the guards are changing in front of the palace. If you once visit Monco, you just have to take part at this ceremony! To get a good position, it´s recommended to be there one hour before it startes. You have to stroll through the famous harbor, of course. The entire harbor area is very beautiful, well-maintained bigger than you might expect. So take your time and enjoy the most beautiful harbor I´ve ever seen. 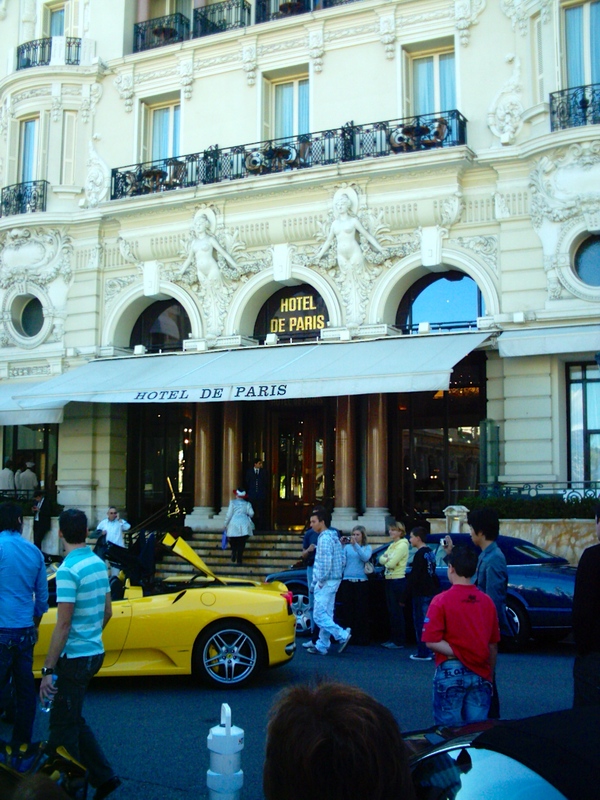 Café de Paris. The price? 8, – Euro! However, it´s not cheap, but the atmosphere is unique and you luxury cars are passing by, you´re usually just able to see in magazines. Ferrari, Rolls Royce, Bentley or Aston Martin – it´s nothing special there. You want to stay there for one night? No problem – 12.000 € per night! … and then it was time to say goodbye to the beautiful Cote d`Azur. 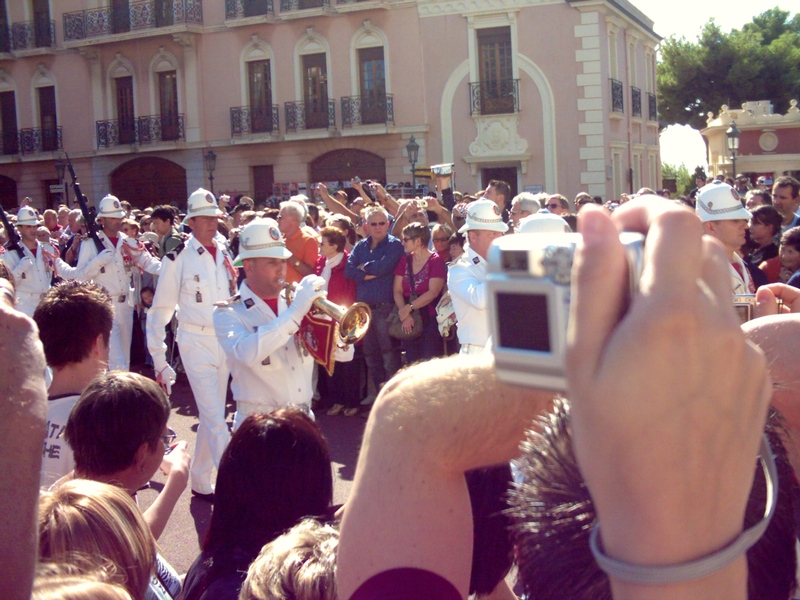 To put the flair of Monaco into words and transmitting it´s atmosphere isn´t easy. 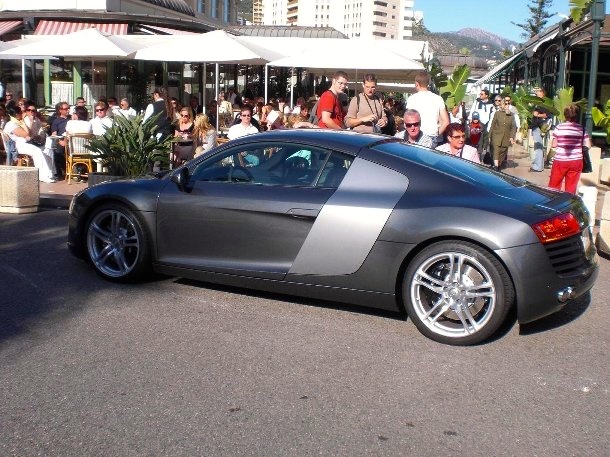 After the first minutes, you won´t notice the expensive cars and the luxury boutiques of well-known designers anymore. It´s just normal there! 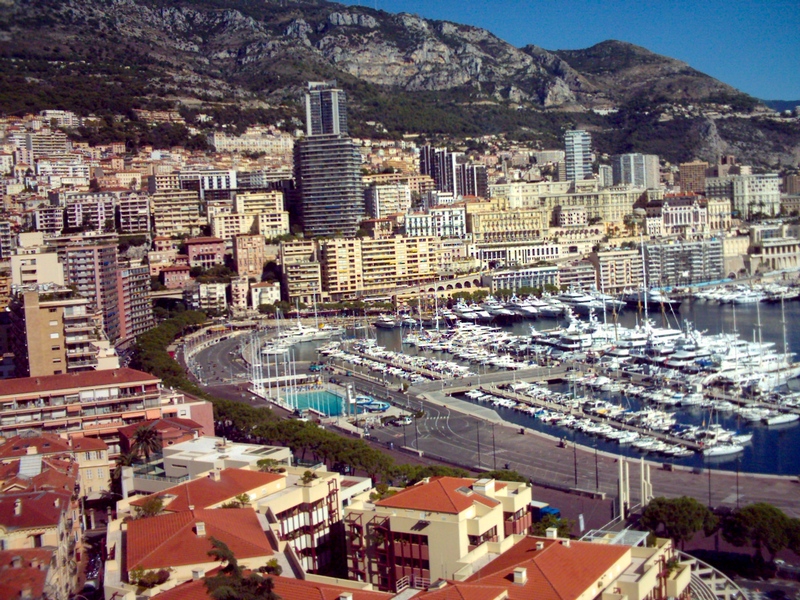 My personal Monaco-highlight is definitely the world-famous and truly majestic harbor. The glistening azure sea in the sun – just beautiful! 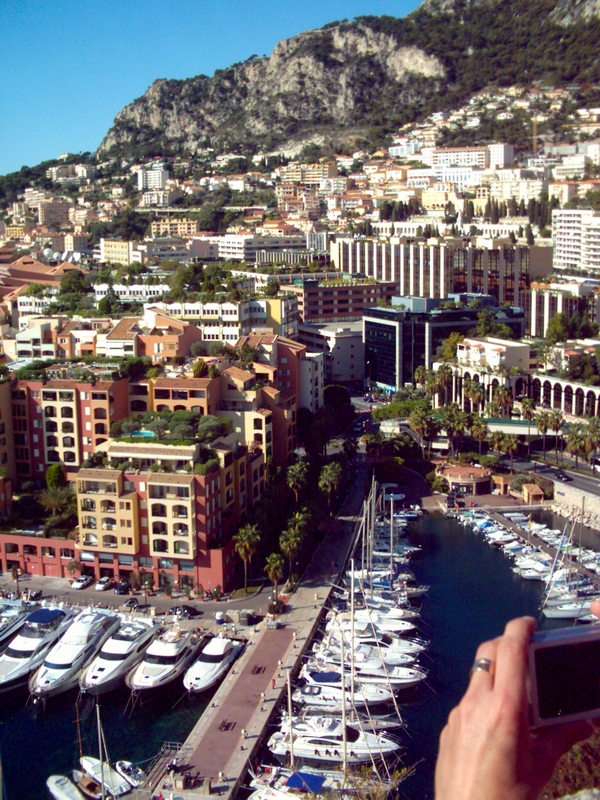 You just have to experience everything in Monaco on your own. At least once a lifetime!